Early childhood education and care (ECEC) can help lay the foundations for future skills development, well-being and learning. Having timely, reliable and comparable international information is essential to help countries improve their ECEC services and systems. For over 15 years, the OECD has been conducting policy analysis and gathering new data on ECEC. 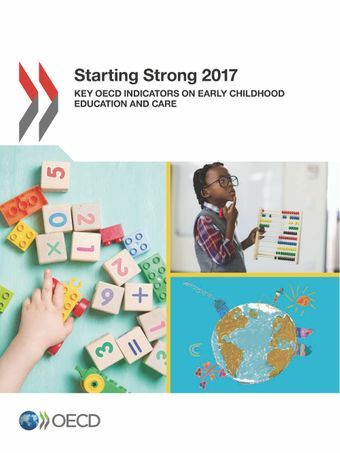 For the first time, this report brings together all the key ECEC indicators in one volume. It presents an exhaustive overview of ECEC systems and provision as well as trend data and information on recent reforms. The report takes a hard look at issues such as access and governance, equity, financing, curriculum, the teaching workforce and parent engagement. Key challenges for improving the ECEC sector are identified. With around 45 charts and data for the 35 OECD countries and a number of partner countries, the publication also includes a great deal of new material. It offers new data on ECEC provision and intensity of participation for children under the age of three (based on an improved typology of settings). It also presents new indicators on the profile of ECEC staff (e.g. level of qualification, teacher salary and organisation of working time) and on equity in access to ECEC. New PISA 2015 analyses help highlight the relationship between the number of years of ECEC and academic performance at age 15, and the effects of ECEC attendance on health and well-being, and mothers’ employability.